Would you pay Google $399 for unlocked, HSPA+ Galaxy Nexus? Google has surreptitiously answered whether AT&T or T-Mobile would carry Galaxy Nexus, which is available from Sprint and Verizon here in the United States: No. Otherwise, why would Google sell the smartphone direct, which it started doing yesterday. It's a helluva price, too -- $399, unlocked, with no contractual commitment. This is the HSPA+ model released internationally in November 2011. That means no LTE and only 16GB storage, rather than 32GB -- and it's not expandable. The phone sold for $729 or more from Amazon and handset resellers just a few months ago. Amazon lists the 16GB model for $438 today. But, hey, $399 is better. But is it low enough for you? You can get 64GB iPhone 4S from AT&T for same price -- granted locked, with 2-year contractual commitment. Both handsets are HSPA+, though, and AppleCare+, which offers cheap replacement for broken phones, is an extra $99. So I ask: Would you -- or will you -- buy Galaxy Nexus direct from Google? 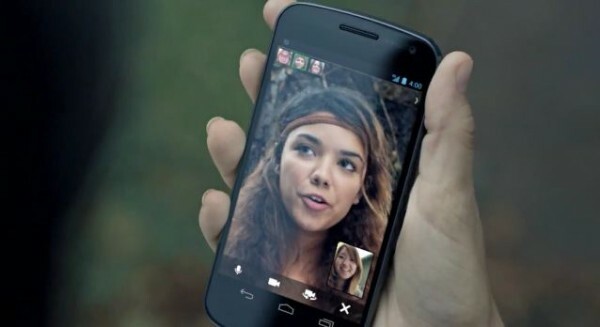 "First available in the US, Galaxy Nexus costs $399 and arrives at your door unlocked, without a carrier commitment or contract", Android chief Andy Rubin says. "You can use it on the GSM network of your choice, including T-Mobile and AT&T. It also comes pre-installed with the Google Wallet app which lets you easily make purchases and redeem offers with a tap of your phone. Best of all, we'll give you a $10 credit to get you started with your new mobile wallet". Galaxy Nexus is available from Google Play's new "devices" section. I purchased two Nexus One smartphones direct from Google in 2010. Process was simple and delivery fast. I expect similar customer service here. Google's timing is strange, though. Samsung plans to debut Galaxy S II's successor during a London event next week. Galaxy Nexus may soon lose its crown as hottest Android handset, although "pure Google" -- meaning newest Android and no sneaky skins -- remains an important differentiator. Google had the right idea when selling Nexus One direct starting in January 2010. Many bloggers, journalists and pundits got it wrong, presuming Google wanted to circumvent carriers. As I said then, Google rightly wanted to establish a reference design for Android smartphones and provide developers and enthusiasts with the most current OS version. Galaxy Nexus is similar, but more. This time, Google is trying to get around carriers as well. Some partners have corrupted pure Google -- Verizon among them -- by disabling or muting some Galaxy Nexus/Ice Cream Sandwich features while holding back updates. Then there is the distribution problem, with AT&T and T-Mobile being glaring examples. Neither carrier offered predecessor Nexus S, either. Best Buy sold the phones for Google, unlocked with or without carrier commitment -- but $529 no contract. By that measure, the considerably better Galaxy Nexus is a bargain at $399. Still, it's pricey compared to what Americans are used to paying with contractual commitment. So what do you get? Galaxy Nexus sports 4.65-inch multitouch display with 1280 x 720 resolution (100,000:1 contrast ratio); 1.2GHz dual-core processor; 1GB RAM; 16GB storage; GSM/EDGE/GPRS (850, 900, 1800, 1900 MHz), 3G (850, 1700, 1900, 2100 MHz), HSPA+ 21; 5MP rear-facing and 1.3MP front-facing cameras; LED flash; zero shutter-lag; 1080p video recording; accelerometer; ambient-light sensor; barometer; gyroscope; GPS; proximity sensor; digital compass; Near-Field Communication (NFC); Bluetooth; WiFi; Android 4. Measurements: 135.5 x 67.94 x 8.94 mm, 135 grams. The battery is 1750 mAh, which is less than the 1850 mAh available with Sprint and Verizon models. I reviewed the Verizon Galaxy Nexus in December. I highly recommend the carrier's model, which gets big boost from LTE. I presume the HSPA+ model experience is comparable, but would want to test one, considering how much better I find cellular and data service from Verizon than AT&T. So back to where we started: Would you buy unlocked, HSPA+ Galaxy Nexus from Google for $399. Comments await your response.